Buy Classic Volks – Here’s a original classic Porsche 356 comes in red 3-door Coupe build in 1956. 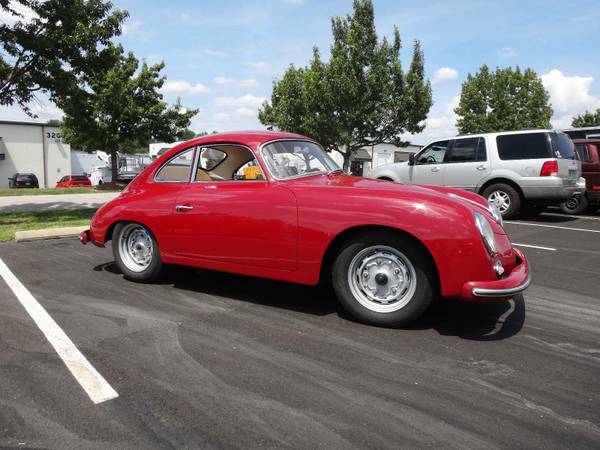 This car is an good and running 356 ready to go for $31500 comes and see please. Documented with its Certificate of Authenticity showing that is a Matching Numbers engine and body panels and it was originally offered with a Blaupunkt radio (still in the car, even has shortwave! ), the very rare optional clock in the glovebox door and the desirable beehive tail lights. It comes with the original books and manuals, as well as some of the paperwork, dating from 1963. This entry was posted in 1956, 356, Closed, Porsche, USA and tagged Porsche 356 on October 25, 2014 by buyclass.